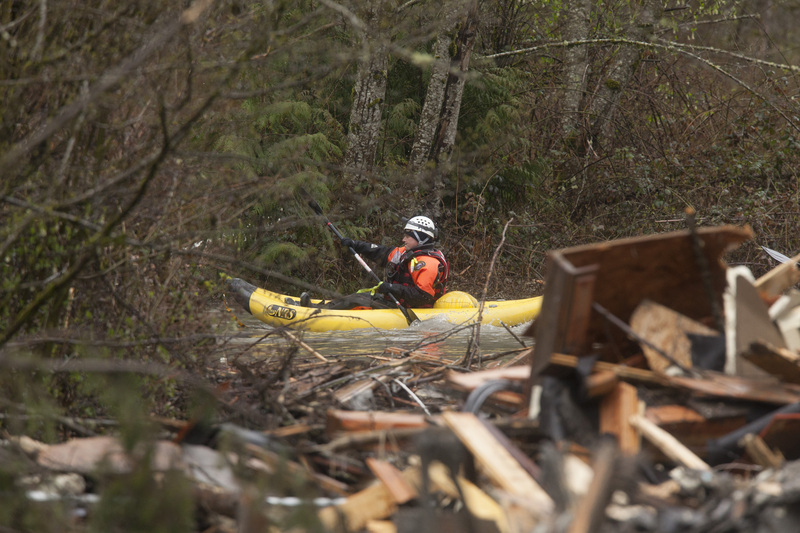 More than a week after a mudslide in Washington state buried a neighborhood north of Seattle, search-and-rescue teams on Sunday were still sweeping the area for anything salvageable. The death toll of the disaster rose by one on Saturday, to 18. And it's bound to rise even more: authorities have already uncovered another ten bodies, but the official death toll will not be increased until they are identified. That process has turned out to be horrifyingly difficult: Jason Biermann, a program manager for the Snohomish County Department of Emergency Management, told the Associated Press, "The slide hit with such force that often the rescuers are not recovering full, intact victims." Even with the tallies still shifting, the Oso mudslide is already among the deadliest in U.S. history, and it is Washington's deadliest natural disaster since Mount St. Helens erupted in 1980. The square mile-wide mudslide crashed down an embankment last Saturday, decimating the community of Oso in Snohomish County. Initial reports estimated 108 missing, but on this count, at least, there is more good news than bad. The number of missing was decreased on Saturday to 30, with most of the previously missing having been either found alive in other areas or counted multiple times. 49 houses were also destroyed in the disaster. The number of missing and dead is still significant, especially for such a small community. The Associated Press reports, "Three generations of one family are missing or confirmed dead. Another woman lost both her mother and her infant daughter." A moment of silence was held among the rescuers on Saturday exactly one week after the mudslide struck. Churches around the area held commemorative services on Sunday. "That's going to be hallowed ground out there," said one county official.